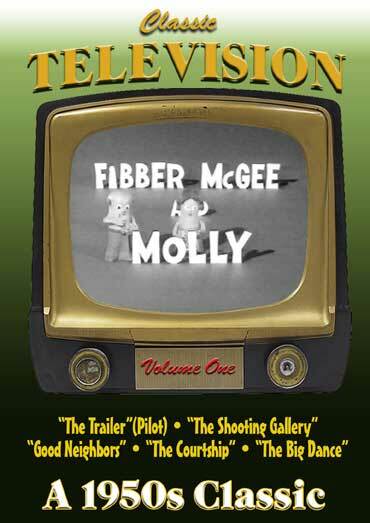 Fibber McGee & Molly TV version of the 1935-57 radio show debuted on NBC on September 15, 1959 and was cancelled on January 19, 1960. The Fibber McGee and Molly TV series never caught on, probably because it didn’t have Jim Jordan and Marian Jordan, the original stars of the classic 1935-1959 radio show. People remembered the Jordans too well and could not accept other actors in the roles of Fibber and Molly. Starring: Bob Sweeney, Cathy Lewis, Barbara Beaird, Roy Norris Elisabeth Fraser, Harold Peary. 1959 – BW – 30 Minutes Per Episode.